Should We Vaccinate Wild Animals for Canine Distemper Virus? The world’s tigers face considerable threats today: poaching, habitat loss, depletion of their prey and retaliatory kills by humans when the big cats take livestock. But now, a new threat has surfaced: the canine distemper virus (CDV). 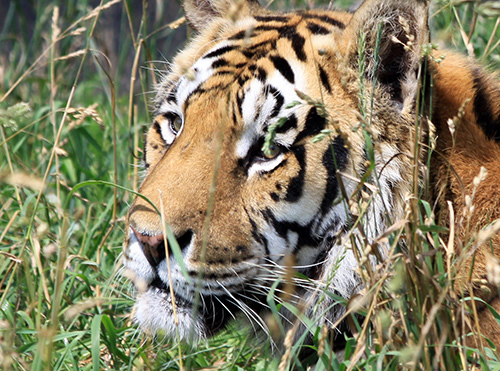 While we’ve known for years that CDV affects domestic dogs, recently the virus has been spreading to new regions and causing mortality in tigers, as well as in several other wildlife species. In fact, “canine distemper” may be a misnomer, given the diversity of wild animals it now infects. Just this month, in February 2015, experts from the Wildlife Conservation Society (WCS), Cornell University’s College of Veterinary Medicine and the University of Glasgow’s Institute of Biodiversity, Animal Health and Comparative Medicine convened the first “Vaccines for Conservation” meeting at the WCS’s Bronx Zoo in New York City. They concluded that CDV could be the final straw that causes some big cat populations to go extinct. But is vaccinating wild animals, such as tigers, a viable and safe option? The Vaccines for Conservation convention participants looked at examples of distemper outbreaks around the world, including a 2010 case study of the Amur tiger population in Russia’s Sikhote-Alin Nature Reserve. In 2009 and 2010, six adult tigers died or disappeared from the reserve, and CDV was confirmed in two of the dead tigers. That led scientists to conclude that CDV played a role in the overall decline of the population, which decreased from 38 individuals to nine between 2007 and 2012. Another key finding in that 2010 study was that smaller populations of tigers seem to be more vulnerable to extinction by CDV. Populations consisting of 25 individuals or less were 1.65 times more likely to decline in the next 50 years when CDV was present. Unfortunately today, in most places where wild tigers persist, they are limited to populations of less than 25 adult breeding individuals. But the threat of canine distemper, however, now extends beyond tigers. The virus has taken a toll on a number of the planet’s other carnivores of conservation concern, including African wild dogs, North American black-footed ferrets, highly endangered Ethiopian wolves and Serengeti lions. That has caused some to suggest that a CDV vaccination program for wildlife be instituted. Traditionally, managing the canine distemper virus has focused on the vaccination of domestic dogs. But while the dogs benefit from this practice (and local people, too, in the case of rabies), it often fails to prevent the disease in wild species that share their environment with dogs. That’s because other small-bodied, wild carnivores can act as alternative reservoirs of the infection and spread it to the larger endangered species. But vaccinating wild animals such as tigers, lions and wolves, of course, is not without risk. Vaccines are capable of causing mild infections in animals. And while we’re able to closely monitor the dogs that live among us for adverse reactions, keeping an eye on threatened and endangered individuals—and intervening when there is a problem—is much harder. Delivery of the vaccine to wild populations poses another challenge. Hypodermic darts are an option, but they are invasive and can injure animals if not placed properly. Laced bait could be used; however, bait is not always eaten by the targeted species, reducing the chances of the vaccine’s effectiveness and increasing the possibility it could harm other animals. Finding the funding to build such a program into park and conservation budgets that are already struggling with other priorities won’t be easy. As some have pointed out, disease is a conservation issue that tends to be forgotten. Although canine distemper would’ve killed off black-footed ferrets in the United States if it weren’t for a captive-breeding program, it’s possible that in the case of the Russian tigers, their wide dispersal across a large area would keep distemper from becoming their death knell. Still, if CDV broke out in more isolated tiger populations, such as in India, it could be devastating. Given that some isolated populations of endangered species besieged by other threats could go extinct if hit by CDV, do you think it is appropriate—and feasible—to vaccinate them? I think it would be good, There are many organizations that do feral catch and release for spay and neutering and they vaccinate the animals while they’re under anesthesia. But I don’t know how you would be able to fund a program like this unless its private. I don’t see why not. Humans got them into this mess, after all. You got to love Painted Dogs, they have gone up market and are referred to as African Wild Dogs but for me Painted Dogs describe them more aptly. I was lucky enough to see them in Namibia a few years back, wonderful. I previously worked in an Ontario lab where we produced the “Rabies Baits” which are an edible form of rabies vaccine mixed in a flavoured blister pack. These were then air dropped into forests to vaccinate wild carnivores. This program, requisitioned by the government, was very effective in reducing the incidence of rabies in key areas bordering communities and helped to prevent the spread into domestic animals and humans. The funding was likely granted due to the fact that rabies is transmissible to humans. Fortunately, CDV is not transmissible to humans (that I am aware of), however, this also reduces the funding opportunities from a human health and safety perspective. 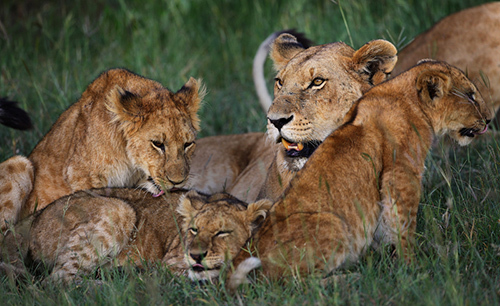 Candice, during an outbreak of CDV among lions in Tanzania the scientists launched a huge vaccination campaign for all dogs in villages in and adjoining the affected area with good results. I guess this will be a costly operation, so you will have to find funding. Contact Prof Craig Packer of the University of Minnesota. So long as it is not possible to prevent contacts of this species with domestic dogs so long it is – in my opinion – urgently necessary to vaccinate them, using a safe vaccine, of course. Its an interesting article. I can see how funding and safety would definitely be a problem. 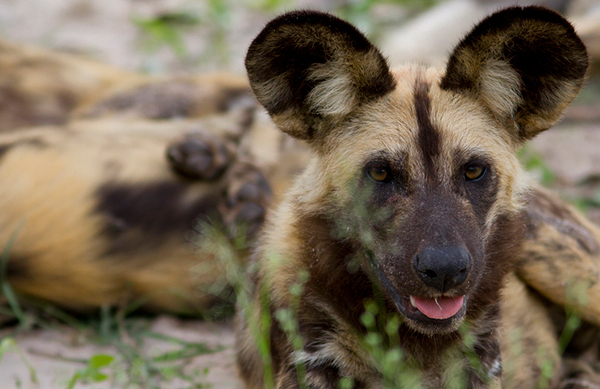 If it affects African Wild Dog then you should certainly vaccinate, even if you just start with them. It will cost but it is necessary! We agree too much is done to control and eliminate the animals and their habitat !! It may not be necessary to vaccinate a whole population – in fact it is probably impossible to do so – but to protect sufficient to ensure the continued existence of the species is probably our moral responsibility considering the spread of the problem is almost certainly due to man. An alternative to vaccination is to create buffer zones where the domestic animals affected by the disease are not permitted. Unfortunately mankind’s addiction to the dog as a pet would make that very difficult to enforce, plus in some areas there are large feral dog populations that are themselves a major source of the disease. The other dilemma is how much we are interfering in the natural order of things. There seems to be few places on the planet where there is minimal human interference in the habitat. If farming nature for human enjoyment is the future then we have to take responsibility for controlling what are essentially human generated problems. If one looks at the human situation with measles, and distemper is a similar virus, might it be that the use of live vaccines in canines is leading to these problems? If rabies baits are successful why not distemper. Is the method limited to an injection? I don’t know anything about it.